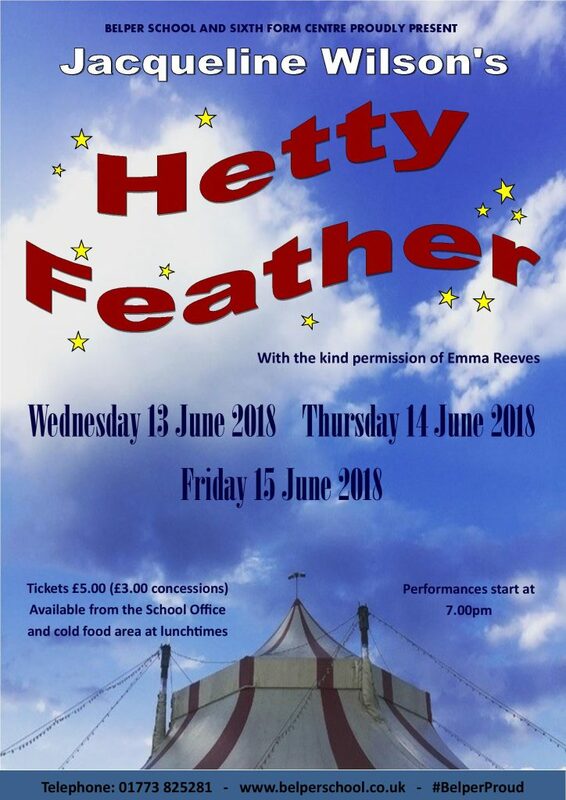 We are delighted to announce that our next Drama production will be ‘Hetty Feather’. Based on the best-selling book by Jacqueline Wilson, this is a spectacle not to be missed! Why not join us in following Hetty’s exciting adventures from the Foundling Hospital to finding a true family of her own. Performances are at 7pm on Wednesday 13, Thursday 14 and Friday 15 June 2018. Tickets will be available from week beginning Monday 21 May from the School Office. Students are able to buy tickets from the Cold Food area at lunchtimes.